With new Dreams, new hopes & we stepping into a new beginning of Married life. We have decided to share the first day of our new life with our family & friends. 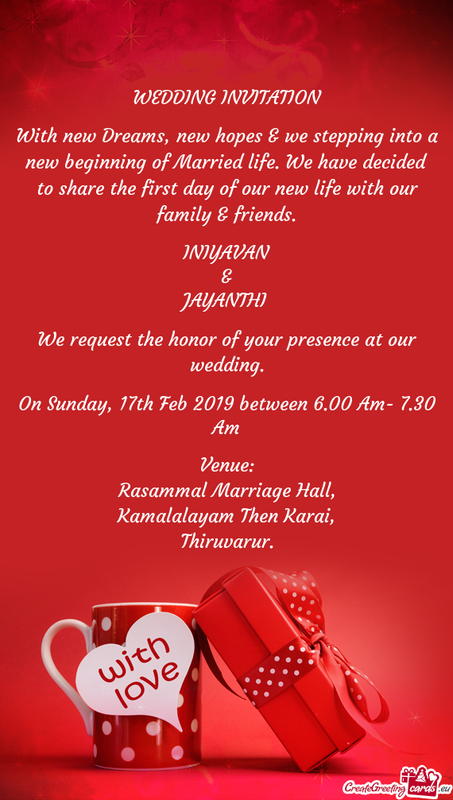 We request the honor of your presence at our wedding.